Can you believe Thanksgiving is over already? 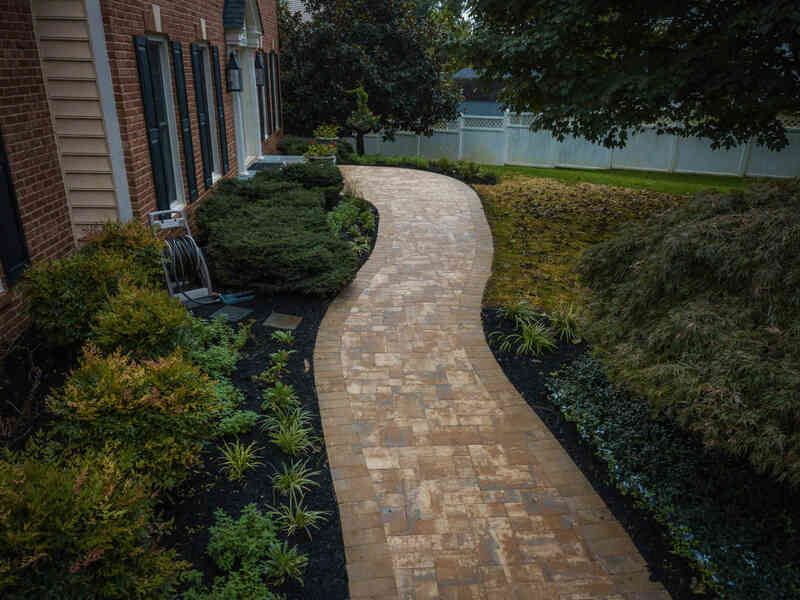 Less than a week until December, here are a few simple tips to care for your landscaping around your home. Plant trees: Did you know the Fall season is a great time to plant trees? The cooler temperatures allow the tree roots to become more established in time for spring. 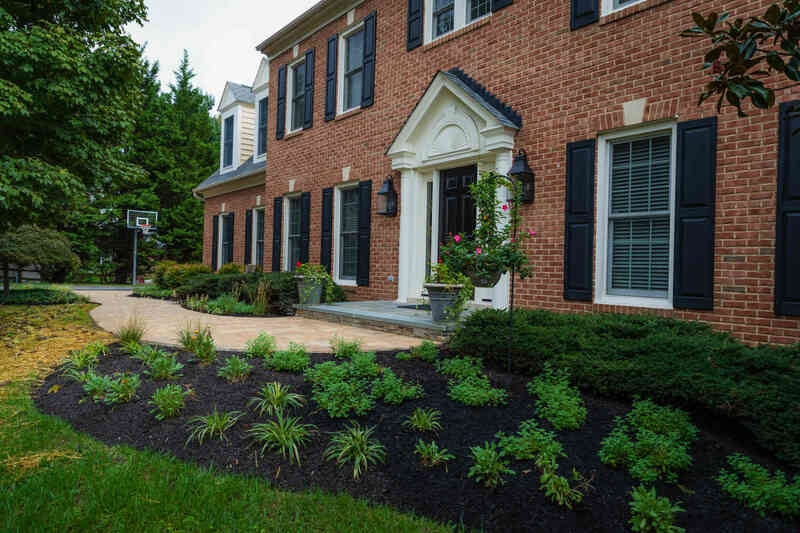 Adding mulch: Add mulch around gardens, trees, and shrubs and do so before the first freeze. Mulch will help insulate the plant roots against the cold and excessive water from rain or melting snow. Fertilizing: The Fall season is a great time to fertilize your landscape. Be sure to apply a nitrogen-only fertilizer to provide your grass the required nutrients. This will help maintain a stronger grass root. Last time to mow: As shorter grass is more resistant to diseases, mow your grass one last time once the weather turns cold. Planting vibrant, rich Holiday-Themed Flowers: White and red flowers look beautiful this time of year. Even as the grass may turn or shrubs may change to brown, Pansies, Poinsettias, and Dianthus’ provide rich, holiday-themed colors that are sure to ‘pop’ this time of year. Install your Holiday Lights! : Adding to the holiday spirit, now is a great time to start installing your holiday lights. 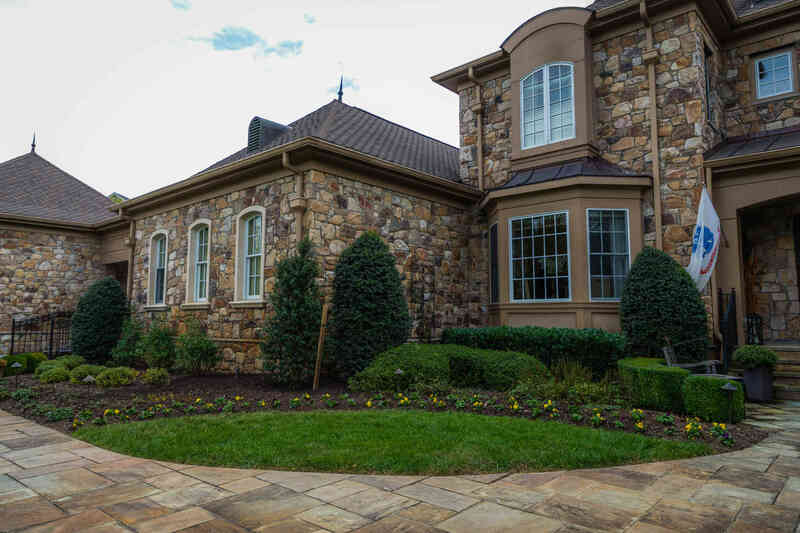 From simply decorating shrubs in your front lawn to doing a larger project that may include your entire front of the house and landscape, pre-planning the design is a wise recommendation. Whether you hang lights from the gutters or shingles, or from a second-story windowsill, these ideas will make your lighting design look more professional and great! Rhine Landscaping and Rhine Pools are dedicated to bringing you the ultimate outdoor living experience. More than just a pool builder, our expertise in outdoor living helps us design the custom outdoor living experience you have been searching. 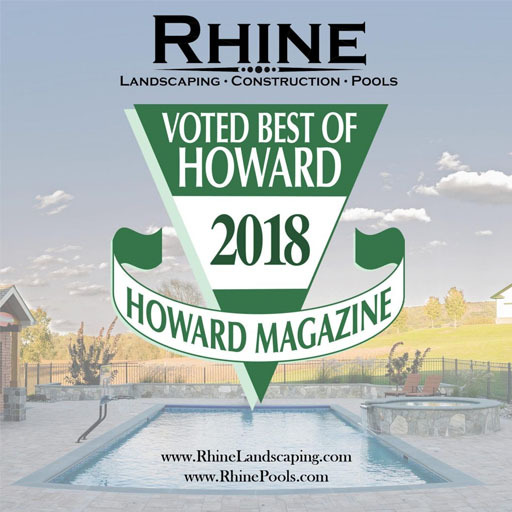 If you have any questions about a new pool or about pool renovations, or any landscaping or construction ideas in Howard, Baltimore, or Montgomery County, contact RHINE by calling 410-442-2445 or clicking here today!